Alberto Giacometti has been a giant of the art world for so long that we forget how strange he was, said Peter Schjeldahl in The New Yorker. Years before the Swiss-born painter and sculptor began creating the wraithlike human figures he’s best known for, “his uniqueness was detectable already.” A young man “ridden with phobias of death, darkness, and open spaces,” he settled in Paris in 1922, and for several years before turning away from abstraction, produced stunning work in a surrealist mode. From 1935 on, though, he was almost single-minded in his quest to capture the human essence in his art, and “his dedication is what rivets us to him.” As the tortured sculptor chased a likeness beyond appearance, “his hand ate away flesh” until there was far more material on the floor than in the figure before him. 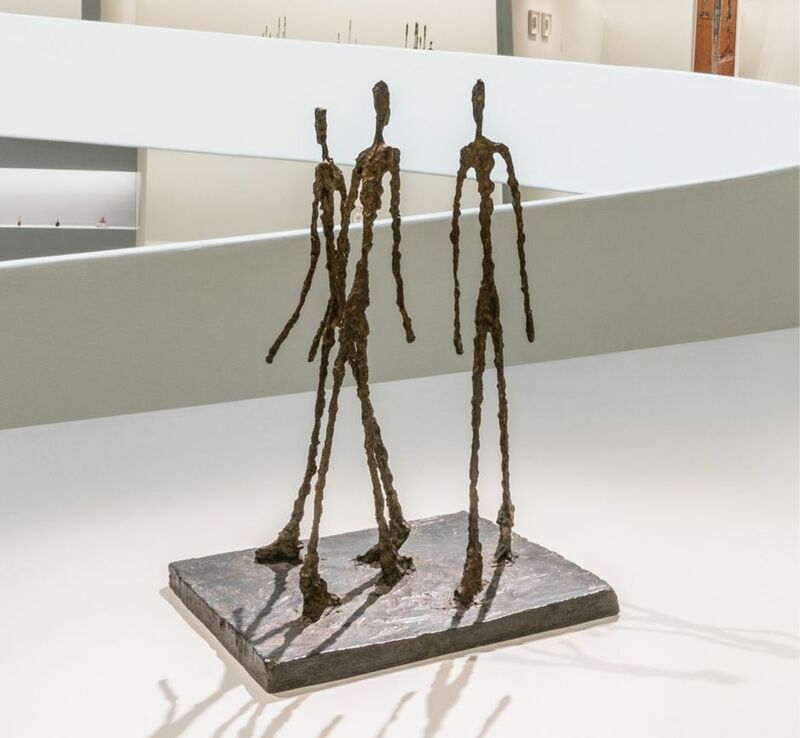 The new Giacometti retrospective—the first major U.S. show since 2001—clearly intends to reproclaim Giacometti’s genius, said Ariella Budick in the Financial Times. “This time, though, I see a limited, if more human, artist.” As a surrealist, he experimented wildly, borrowing from the visual traditions of Egypt, West Africa, and the South Pacific as he simultaneously “forced a meeting between the primitive and classical sides of his personality.” His Woman With Her Throat Cut, though abstract in form, is “a malevolent fantasy of woman as a hostile bug,” and Point to the Eye is “a venomous tour de force”: It aims the sharp tip of a long tusk at a shrunken head, creating “an exquisitely efficient terror-instilling machine,” the likes of which no James Bond villain could top. Giacometti flailed for a decade before achieving his second breakthrough, in the mid-1940s, with the “utterly fleshless” bronze and plaster figures that evoked the skeletal, ravaged people created by the war that had just swept the continent. At the Guggenheim, the chronologically organized tour of Giacometti’s career ends with 20 years’ worth of those figures. It feels like evidence that he hit a wall.